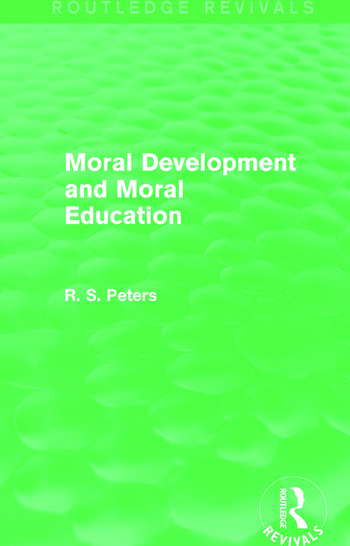 First published in 1981, this collection of essays was taken from Peters’ larger work, Psychology and Ethical Development (1974) in order to provide a more focused volume on moral education for students. Peters’ background in both psychology and philosophy makes the work distinctive, which is evident from the first two essays alone: ‘Freud’s theory of Moral Development in Relation to that of Piaget’ and ‘Moral Education and the Psychology of Character’. He also displays balance in his acceptance that reason and feeling are both of great importance where the subject of moral education is concerned. Although written some time ago, the book discusses issues which are still of considerable interest and importance today.